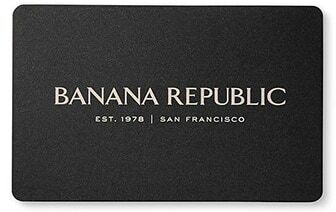 Banana Republic is your destination for a full stock of bomber jackets. With its rugged yet approachable character and distinctly casual aesthetic, a bomber is an excellent outerwear option for both men and women. Add this easy to integrate silhouette to your wardrobe with the selection of styles from Banana Republic. These jackets are made with high quality materials to stand up to the challenges of everyday life, and feature durable hardware that delivers season after season of reliable wear. Enjoy generous cuts built for outdoor activity with this special collection of bombers, available in a range of silhouettes so you can choose your ideal twist on this time tested profile. Choose from styles in versatile low profile colours such as black, navy blue and olive green, or take the visual impact to the next level with a bomber showing off a distinctive texture or unexpected embellishments that push this style to its full potential. This collection also features designs with distinctive touches such as stand collars, contrast stitching and interior pockets that keep your everyday essentials close at hand. The best bomber jackets for men and women are at Banana Republic this season. This style of jacket rests at the intersection of form and function, with its utilitarian design perfectly in sync with its stylish profile. An on trend bomber jacket is a natural choice as a top layer almost year round, and can be worn open with a graphic tee and jeans for a effortless and laid back look. This outerwear option can also be teamed up with a button front or polo shirt along with pair of khakis or chinos for a more put together look that works on the job and on the weekend with equal effectiveness. Keep your look smooth with a pair of casual shoes or low profile athletic trainers, or play to the piece's military roots by adding a pair of boots to your ensemble. These jackets are in-style pieces that can go just about anywhere your journey takes you. When it comes to jackets, bomber silhouettes are a foolproof and versatile option.